World Vegan Day 2018: Does Being Vegan Really Help Lose Weight? World Vegan Day is being celebrated today. It is an annual event that commemorates the benefits of veganism for humans, animals, and the natural environment. Established in the year 1994, World Vegan Day is celebrated through exhibitions, seminars, public debates, workshops etc. They day is said to be a chance for individuals to advocate the lifestyle, share ideas and sensitise their friends on its importance. Veganism is the practice of abstaining from the use of animal products, particularly in diet. So, if you are vegan, you may have to avoid the use of dairy products, eggs, meat, honey and other derived substances. People go vegan for quite a few reasons, which may include: environmental impact, to address animal cruelty, to improve their health and to lose weight. According to experts, there are chances that turning vegan could help you lose weight as well. Vegans tend to eat nutrient-rich fruits and vegetables, protein-packed legumes and beans, hearty whole grains, and healthy fats like olive oil. Not having meat also means that vegans have access to load up on not-so-healthy junk foods like sugary snacks, white bread and pasta etc. If you have the healthier counterpart, chances are you will be able to lose weight and achieve your goals. The idea is to cut out certain processed options and make your diet lower in saturated fats, sodium and added sugar. According to the American Dietetic Association, when you fill your plate with healthy foods, going vegan can serve up some serious health benefits. People who follow plant-based diet have lower cholesterol, body-mass index, and blood pressure along with decreased rate of developing type-2 diabetes. As per the study published in the Journal of General Internal Medicine, being vegan may help you lose a significant amount of weight. It is thought that going vegan may lead to reducing the number of high-calorie foods you consume. 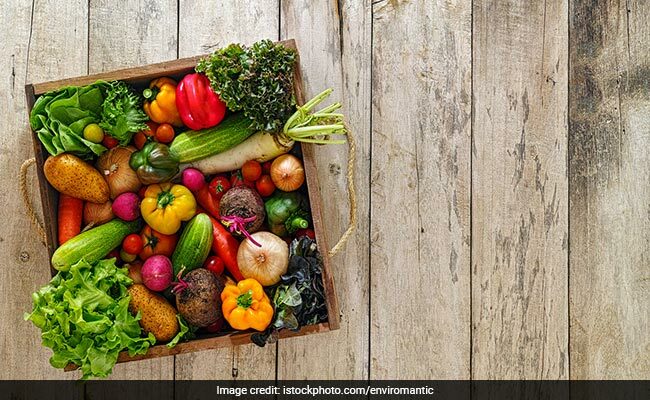 Moreover, choosing a vegan diet may help you replace these foods with high-fibre alternatives that are lower in calories and will keep you fuller for longer. Approaching veganism may help you lose weight, but is it healthy enough? Cutting out some of the main food groups in your diet may be unhealthy. Essential nutrients like vitamin B12 that can be only found in animal products, deficiency of which could cause anaemia. Otherwise, if you choose the right foods, you could possibly lose weight. Here are a few points you need to remember to ensure you are following veganism right in order to achieve weight loss goals. Being a vegan will give you the freedom to pick and choose from healthy and junk food. If you are looking at losing weight, make sure you are making the right choice. Avoid the junk and ensure that you are having a nutritious diet. Healthy food doesn't mean you eat big portions; it is important to watch out your calories for the day. A protein-rich diet is essential for losing weight. While animal based products are high in protein content, you could choose vegetarian options like soybean, lentils, chickpeas, black beans, tofu, peanut butter, and quinoa that are all rich in protein. Green vegetables should be consumed in abundance. These foods are ideal for weight loss as they are the most nutrient-dense, low in calorie and high in fibre content. Include bok choy, broccoli, spinach, zucchini and mustard greens in your diet. Vegan diet is surely nutritious; the idea is to make the right choices with the foods and ensure a healthy weight loss. Don't forget to complement it with exercises. Also, follow a diet plan under strict supervision of an expert dietitian and nutrition.